Cartoon. Union jack or union flag? And which way up? Cartoon. Union jack or union flag? Cartoon about whether the British flag should be called the union jack or the union flag, and about the common problem of the flag being flown upside down. A cartoon showing a union jack or union flag being flown as part of the celebrations for an event. A man is pointing out that the flag isn’t called the union jack, because jacks are only flown on ships. He’s also pointing out that the flag is upside down. The wider white diagonal band should be at the top of the tethered side of the flag. The flag in the cartoon is called a pennant, as it is a hanging flag and is triangular in shape. The man is called a pedant, as he is over obsessed with trivial detail. 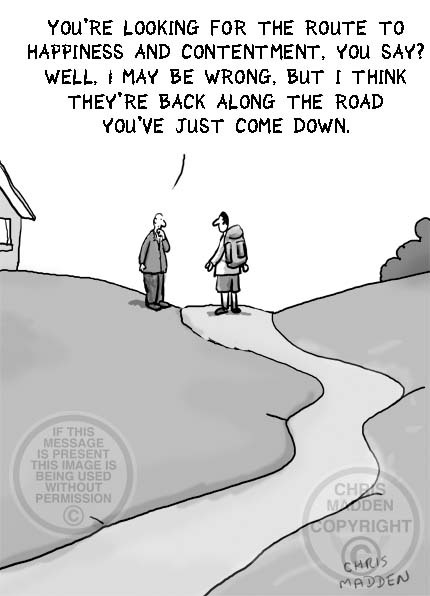 A cartoon about solicitors and wills. Some people leave everything to animals in their wills. This cartoon shows someone who has left everything to a plant. 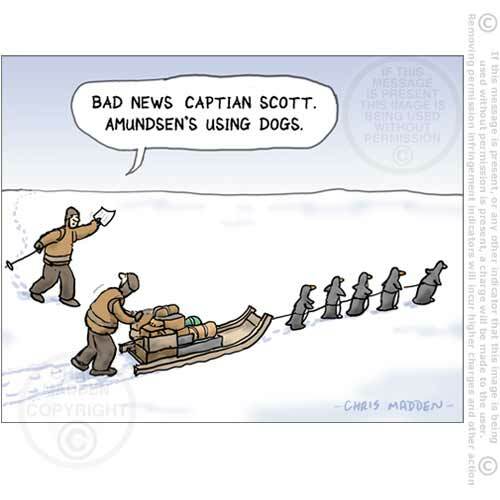 A cartoon about the cliche of people leaving all their worldly belongings to their pets when they die. Along the lines of “Being of sound mind I do hereby leave all my worldly belongings to Tiddles, my beloved pet cat”. Here the situation is made even more absurd by the testator or testatrix leaving everything to a houseplant. Cartoon. Leonardo Dicaprio as J Edgar Hoover in the film J Edgar. 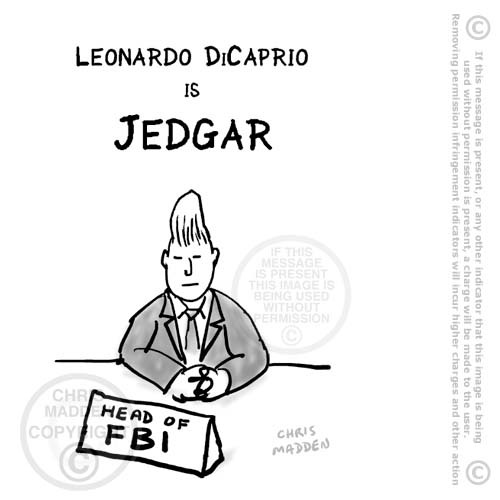 In the cartoon the name J Edgar has been changed to Jedgar, to mimic the name of the pop music duo Jedward. Cartoon. The film J Edgar renamed Jedgar, as a play on the name of the pop duo Jedward. Jedward is a pop duo who’s members are called John and Edward, condensed to Jedward. The members of the group Jedward are best known for their hairstyle – a strikingly high blond quiff. Part of the joke in the cartoon is that such a hairstyle is the last thing that J Edgar Hoover would ever have. A cartoon about the advantages and disadvantages of Greenwich Mean Time (GMT) and British Summer Time (BST). A cartoon about the proposal to put the clocks in Britain forward by another hour all year round, and the consequences of doing so. Cartoon about ‘adult’ magazines, ‘girlie’ magazines or ‘top shelf’ magazines. The joke is that adult magazines are often called ‘top shelf’ magazines (because they are on the top shelf to keep them out of the reach of children). 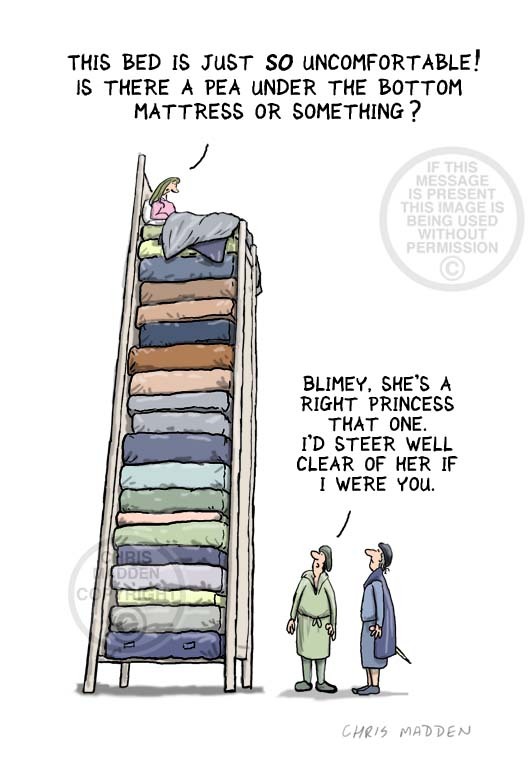 The magazines in the cartoon depict women’s bottoms, so the top shelf is labelled ‘bottom shelf’. Cartoon. How did tanks get their name? 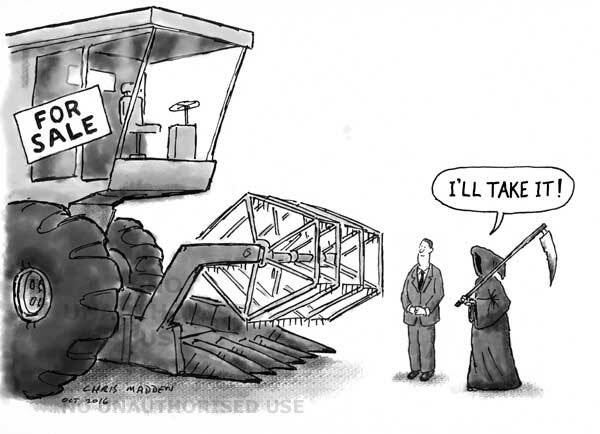 Cartoon How did tanks get their name? This cartoon would make a suitable illustration for a children’s educational book. Why armoured vehicles are called “tanks”. The tank was developed by the British during World War I. In order to conceal their purpose during their development the armoured vehicles were called tanks because they resembled water tanks. In my illustration the tank is being used as a watering can because of its association with water tanks. Illustration about the interpretation of statistics and the importance of context. Cartoon showing a person studying statistics through a telescope (which is visually funnier than a cartoon showing a person studying statistics under a microscope). 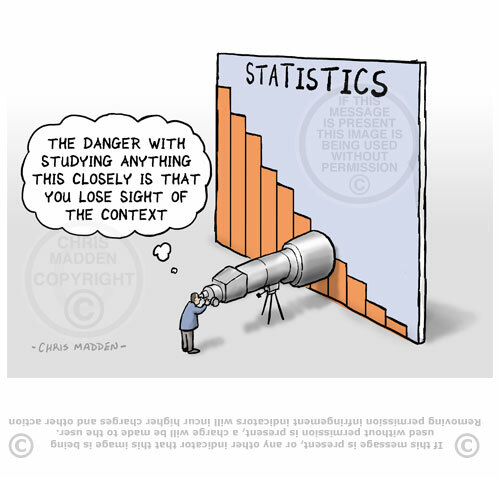 Cartoon showing a person studying statistics. He is studying them so closely that he has lost sight of the surrounding context. 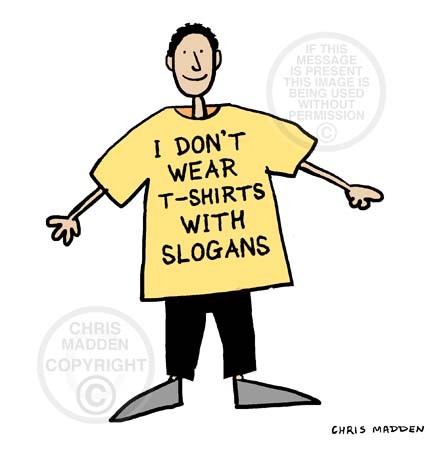 The principle behind the cartoon (studying things so closely that context is lost or ignored) is applicable to the study of other areas of research, and applies to politics, economics, social sciences – in fact just about everything. 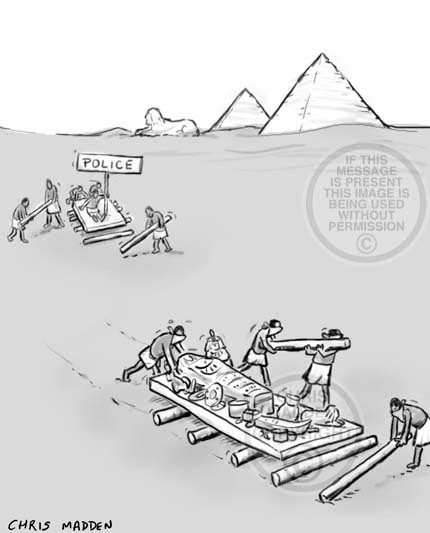 Egyptian tomb robbers plundering the tomb of a pharaoh – and being pursued by the police. 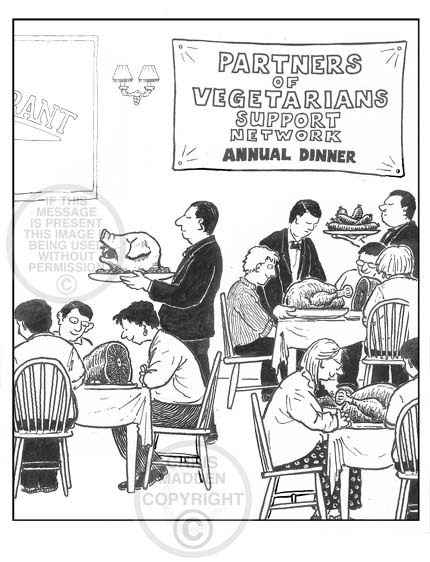 Bustle cartoon. 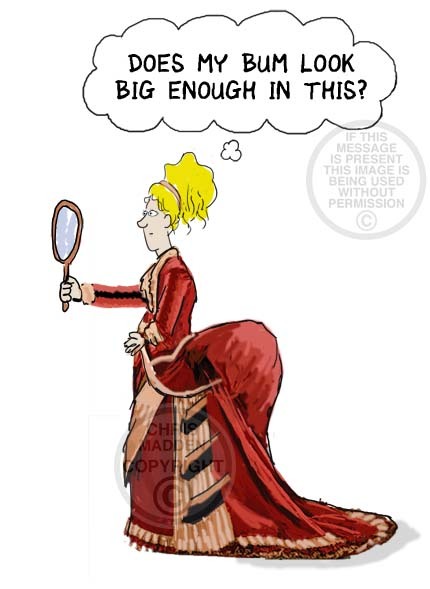 Does my bum look big enough in this? 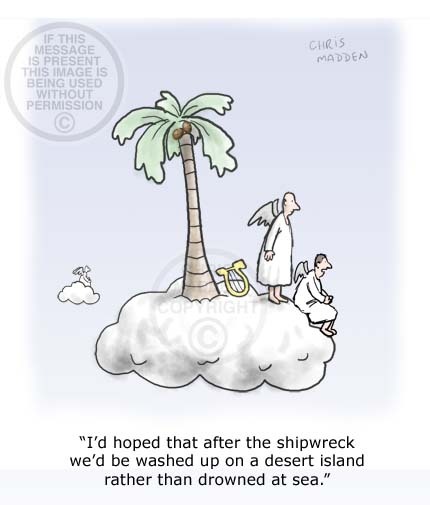 The cloud has got a palm tree growing on it, in the traditional cliched desert island cartoon style. 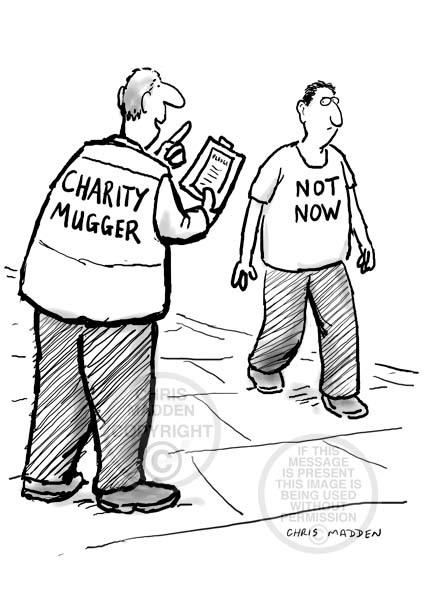 Charity collector trying to peruade a passer-by to stop. Rather than saying “Not now” the passer-by is wearing a t-shirt with the message “Not now” printed on it. A balloon rising dangerously into the air with a person hanging on to it – as a symbol or metaphor for overachievement or over-reaching. 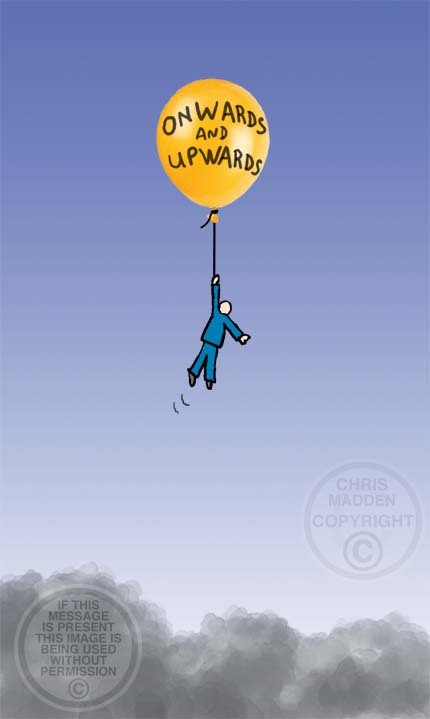 A cartoon about hubris, unforeseen consequences, icarus, pride comes before a fall, onwards and upwards. 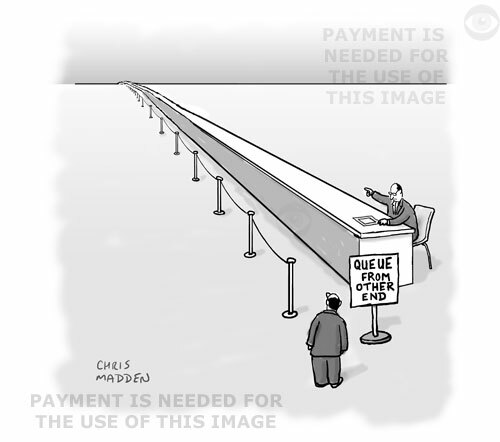 The cartoon can be applied to business enterprises that over-reach their natural limits or to management styles that push people further than is advisable. A cartoon showing a person walking along a road in a quest to seek happiness. He is asking a person who lives alongside the road if he will find happiness and fulfilment along this route, as that is what he is seeking. 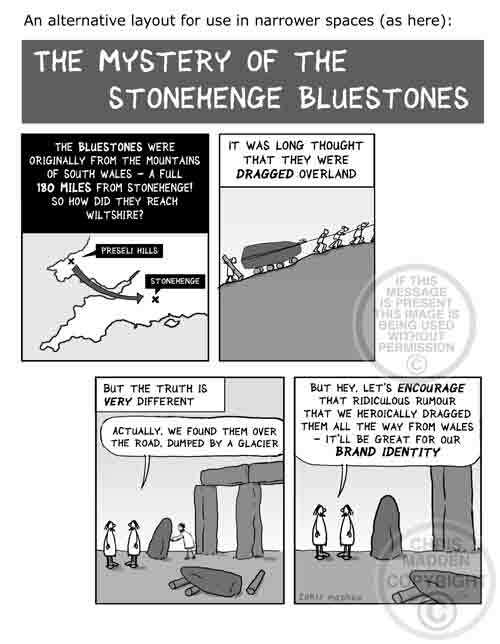 The standard orthodox view is that the Stonehenge bluestones were dragged overland and carried by raft from the Preseli hills of South Wales all the way to Stonehenge in Wiltshire. This would have been a super-human task, given the terrain. It would also have been a supremely pointless task, and no amount of romanticisation of the people’s purposes can really make such a task justifiable. 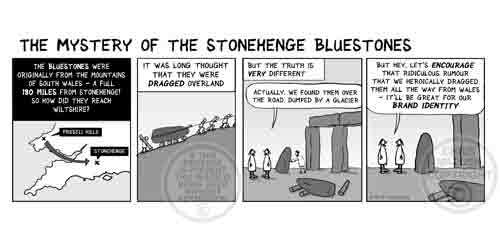 An alternative theory to how the bluestones reached Stonehenge is that they were carried there by a glacier and deposited nearby. Rocks deposited in this way are known as glacial erratics. 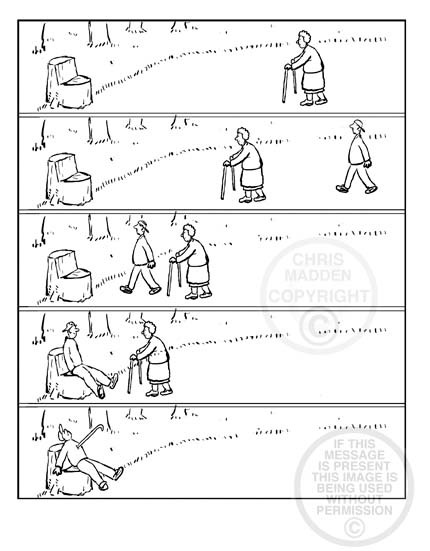 This cartoon is an illustration of the way that tourism affects the places that are visited, with the local inhabitants modifying their behaviour as a result of the tourism. 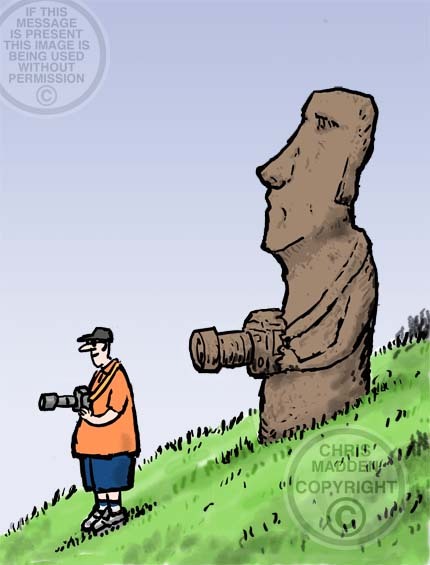 Here an Easter Island statue has a camera round its neck.